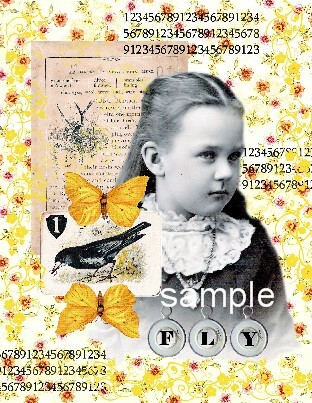 Collage Stuff Notecards Set #1! Click on the photos to enlarge! 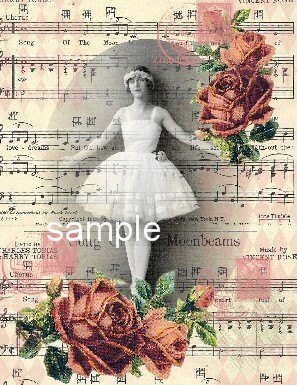 These note cards are professionally printed by the same company that prints the Collage Stuff postcards. They are blank on the inside. They are sized at 4.25 x 5.5" with a matte finish and include 5 matching white envelopes. 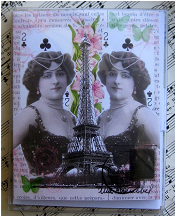 Each set includes one each of the five designs shown. The postcards are packaged in a crystal clear plastic box (see photo). They make wonderful gift items. I created these designs digitally. 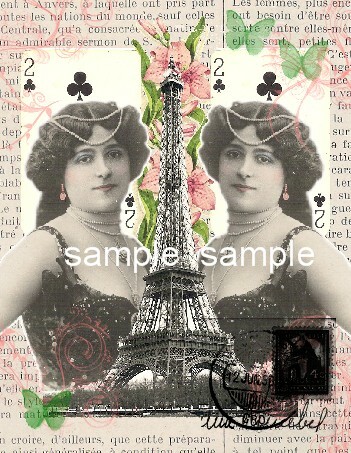 These designs feature images taken from vintage French postcards and vintage photos. I like to use these for quick birthday cards, thinking of you etc. 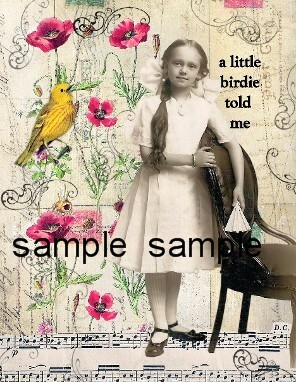 I like to use the "a little birdie told me" for birthdays. On the inside I write something like "that it was your birthday". You'll find all sorts of uses for these unique note cards. Do you like one design better than other? Would you prefer 5 of the same design? 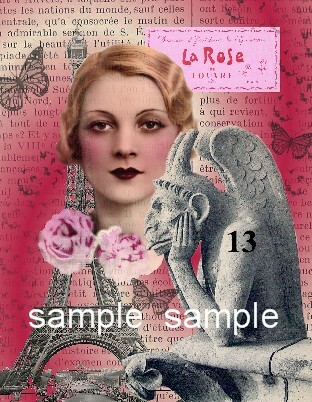 If so, contact me at thelisalisa@collagestuff.com to order. Please allow 2 weeks for processing and shipment.